bluelysia Jun 02 2016 3:07 am I love this better than the original drama version.. Chiaki is awesome as usual but I understand how Nodame feels left behind.. 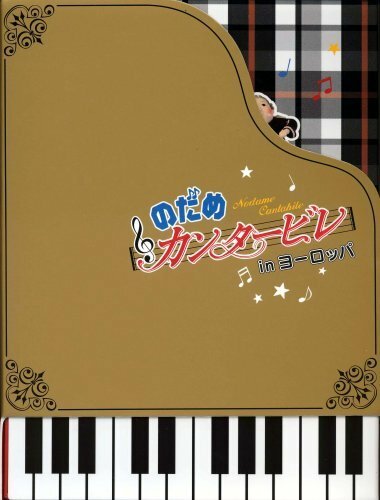 I cried when Nodame cried because it reminds me with my piano even tho I'm not talented like Nodame.. but at the end nodame is like chiaki and chiaki is like nodame lol they run after each other.. it's cute and sweet.. now off to the movie! ester grace Feb 07 2015 7:25 pm Still funny and comical, imagine of all the crazy comedy going on in a manga or anime brought to live action (still haven't read the manga or watch the anime). Still interesting how the relationship goes between Chiaki and Nodame, and how they're giving the best for their dream and enjoying it. mayeth g. Dec 02 2011 1:38 pm Wonderful movie. brillant! Love Noda Megumi and Chiaki together.